A good metro station must be visible and inviting and make it easy for commuters to select a transportation method that is both more relaxing and more sustainable than private cars. 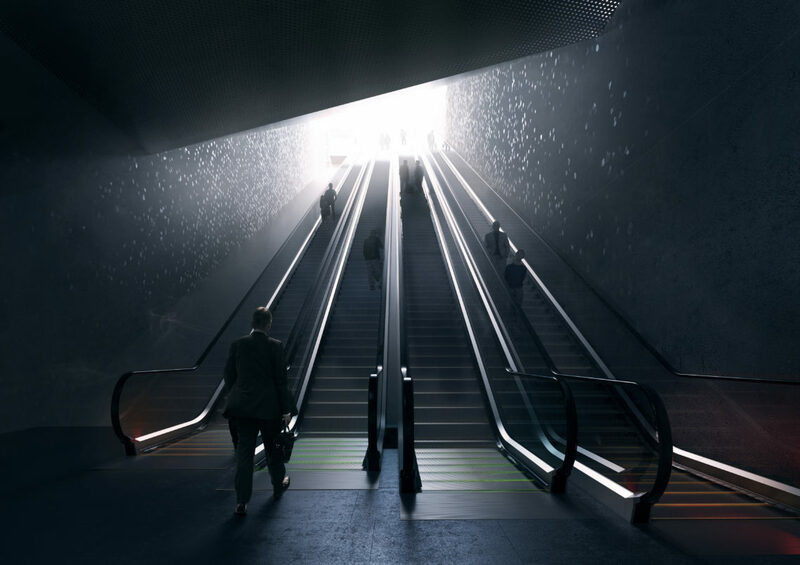 Even if underground with no access to daylight and with limited space available, stations must feel comfortable and safe. 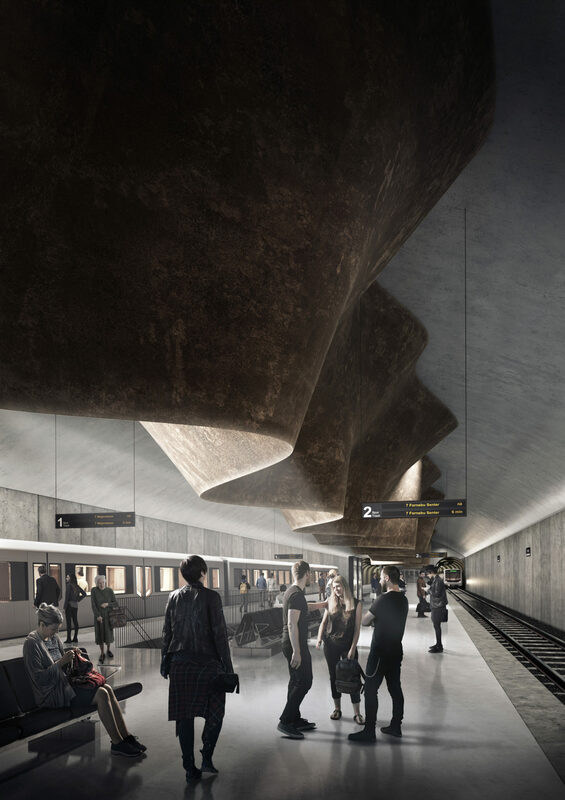 The main inspiration for our proposal for the Arena metro station in Fornebu, right outside Oslo were the contrasts between the hidden and the visible, the dark and the well-lit, the loud and the calm. 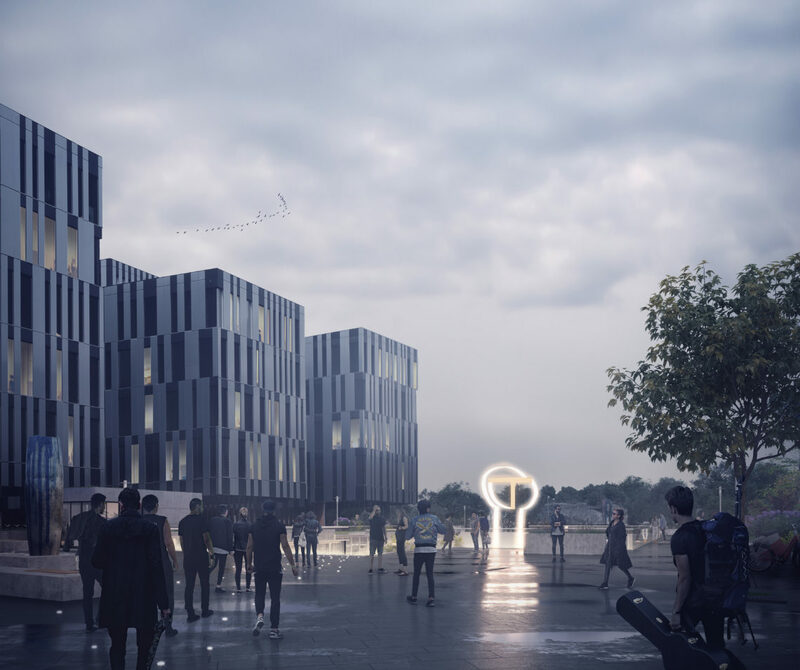 The immediate surroundings of the new centrally located station comprise the Telenor Arena concert venue, as well as the headquarters of for example Akers and Norwegian so the station will have to accomodate both the office workers and the concertgoers, at times in large crowds. Sounds and directions were the main themes in deciding the concept for Arena Station. 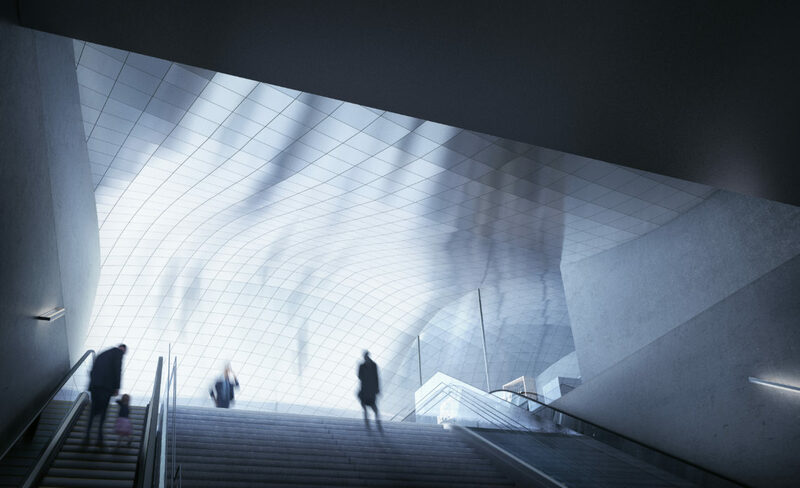 As a contrast to the noisy office and recreation world above ground, our aim was to create a platform area where travelers can experience peace in anticipation or reflection of the different types of noise that can be heard outside. Directions in this case refer to both guiding concertgoers to the arena and guiding commuters to the metro platform. The proposal also focuses on cost-effective design solutions. Our goal was to create a minimal intervention in the existing urban structure for maximal impact, with durable, maintenance-free materials and technical solutions and as simple design solutions as possible. 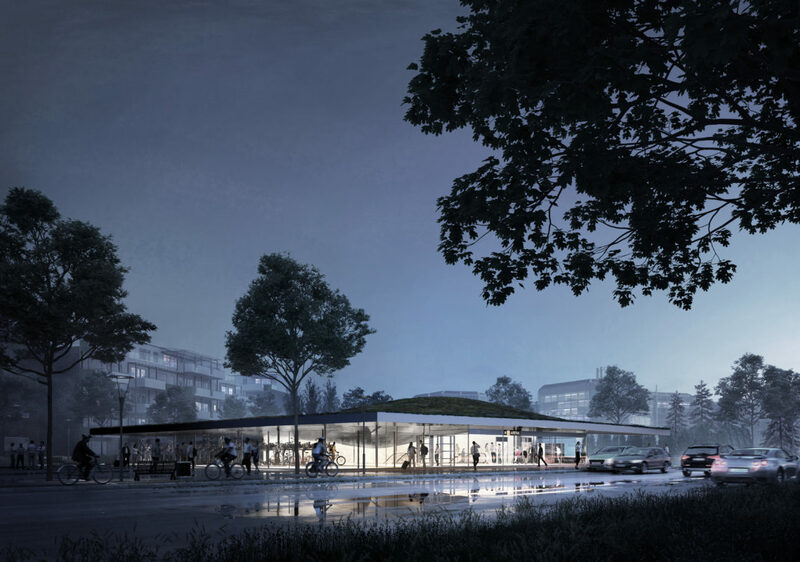 To add to the overall sustainability of public transport, the entrance pavilion was given a green roof.